Located on the bay waters of Plentzia, within 10 minutes of navigation from the port of the Biscayne village, it is located the underwater laboratory LSEB – Plentzia and Crusoe Treasure Cellar. Plentzia Bay, bathes Gorliz, Barrika and Plentzia municipalities. Plentzia Bay, formerly known by the construction of galleons, which many of them participated in the Indian races, is 500 years later, the site chosen for the location of a pioneering initiative in the world. 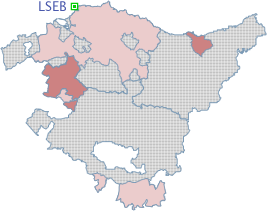 LSEB – Plentzia has some excellent communications with Bilbao, the capital of Biskaye, at a range of 24 kilometres. Bilbao Airport is located only to 23 kilometres. 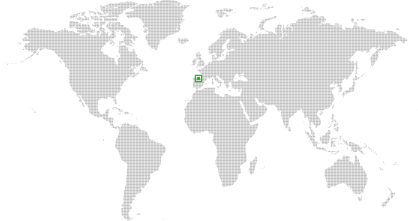 Communicating the project LSEB – Plentzia and Crusoe Treasure Cellar with the most important cities of Spain, and Europe on direct flights. Communications with wine areas are fast, allowing LSEB – Plentzia and Crusoe Treasure Cellar to be erected in an accessible testbed to any wine cellar that want to innovate. Areas such as Rioja with more than 700 wineries are located within 150 kilometres of LSEB – Plentzia and Crusoe Treasure Cellar. In a radius of 70 kilometres there are two designations of origin of Txakoli, and the proximity to the international airport of LOIU which connects LSEB – Plentzia and Crusoe Treasure Cellar to major airports in Europe. A series of modules with sensors, cameras and security seals placed on the seafloor to analyze the aging of wine beneath the sea.